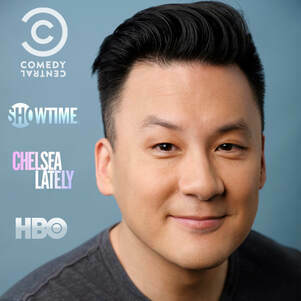 Eliot Chang has recorded two Comedy Central Half Hour specials. No stranger to TV, he has also been on Chelsea Lately on E!, AXS TV’s Gotham Comedy Live, and has appeared on both Showtime and HBO. Eliot has toured his stand-up across over America, Europe, and Asia. His Youtube channel, “EliotChangOfficial,” has millions of views and has spawned multiple viral video hits. Based in Los Angeles but originally from New York City, he studied improv at UCB in NY and with the Magnet Theater’s legendary Armando Diaz. OK to bring a picnic - we just ask that you clean up your picnic items after the show. Please no outside drink. Show is outdoors. Seating and tables are provided. No food available for purchase, only great wine! Complimentary water. St. Anne’s Crossing is one of the latest additions to the Wilson Artisan Wine Family. This terroir-driven winery is perfectly situated in the heart of Sonoma Valley. In a bold reach that embraces the rich diversity of Sonoma’s many distinctive terroirs, St. Anne’s Crossing features 15 single vineyard Zinfandels from different areas of the county. The winery sources all of its grapes from the finest local vineyards where they are harvested by hand at the moment of optimal ripeness. Visit St. Anne’s Crossing for an opportunity to “taste through the terroirs.” You will be delighted as this Appellation Tasting lets you experience how each vineyard site in and around Sonoma County expresses terroir and varietal characteristics in very unique ways.